The 2017 scores for the online California Assessment of Student Performance and Progress have been released, after having been delayed for a month. “I’m pleased we retained our gains, but we have much more work to do. We need to work diligently to narrow achievement gaps and make sure all students continue to make progress,” said State Superintendent Tom Torlakson. California testing went smoothly for 3.2 million total students. On a single day nearly 500,000 students took the online tests. The most widely used tests are the Smarter Balanced Assessments in mathematics and English language arts/literacy, which are given in grades three through eight and grade 11. Smarter Balanced tests consist of two parts: a computer adaptive assessment and a performance task. 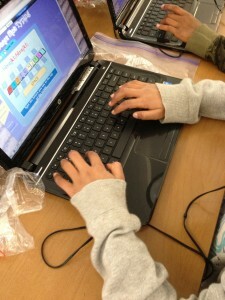 The computer assessment bases follow-up questions on a student’s answers in real time and gives a more accurate picture of progress than paper-and-pencil, multiple choice tests. If a student answers a question correctly, they get a more difficult question. If they answer incorrectly, they get an easier question. The performance task challenges students’ ability to apply their knowledge and skills to problems in a real-world setting. The two parts measure depth of understanding, writing, research, and problem-solving skills more thoroughly than the previous multiple choice paper tests. Scores on the assessments fall into one of four achievement levels: standard exceeded, standard met, standard nearly met, and standard not met. The state also computes the average scores of all tested students, by grade level, called “mean scale” scores, which reflects the progress of all students rather than only those who changed achievement levels from one year to the next.